The Rambo Deluxe Fleece has excellent thermal and moisture-repellent properties. 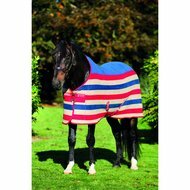 The blanket is made of high quality double fleece which fluff less quickly. 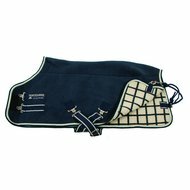 The blanket has a double hook / eye closure on the chest, cross surcingles and a leg strap. 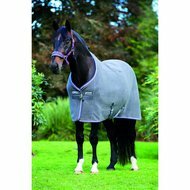 This superior quality fleece removes moisture and keeps your horse warm so that it cools gradually. 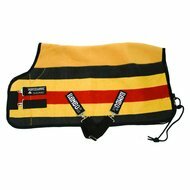 Suitable for use in the stable or on the road. Fits well with other Rambo accessories. 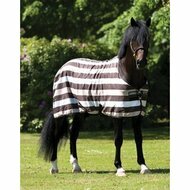 Nice blanket for after hard work, good fit. Nice colours. 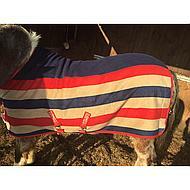 Beautiful thick fleece blanket for too much quality. Size perfectly! To recommend!! Super quality, beautiful appearance and top effect. 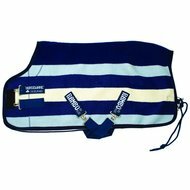 It also remains beautiful for both intensive use and laundry. 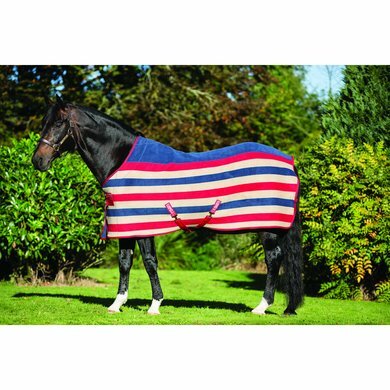 Great blanket that is optimal and keeps the horse nice and warm! 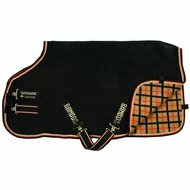 Question: Hello, the 95/145 cover is a size 145?